Lately I have read a few blog posts and talked to some friends who are having either nutrition or diet questions. So I have decided to write a quick post to share what I have learned over the past year and a half. 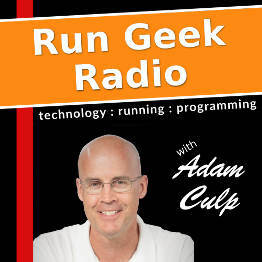 This past year and a half I have been working out regularly and have also taken up long distance running as a hobby. Normally I do not have too much difficulty with my weight as long as I eat regularly, but when I train heavily it does makes it hard to maintain. (Many people have trouble losing weight, I have trouble gaining weight or keeping it up because I am so active.) 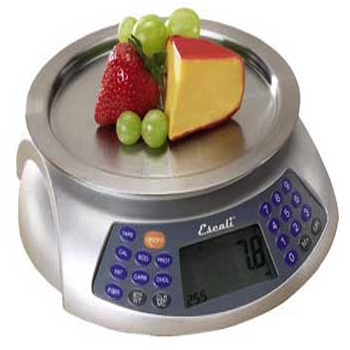 I need to keep close tabs of my caloric intake as well as making sure that I have a balance diet in the process. A tool I have been using to help me track my nutrition from day to day is CRON-o-Meter which is a free, open source, and cross platform dieting software. I find that it has an extensive library of foods and nutrition out of the box. It also is completely customizable and allows me to tweak it to meet my needs, and add new foods that I eat. Because it is so easy to use I have found that it helped me as I input my daily intake of foods and other nutrition items. I simply put in the splits (20 Protein, 50 Carbs, 30 Fats) that I wished to use in my nutrition and then I make sure that I eat enough each day to meet those numbers. In addition I did lower the amount of protein because the software did raise it a bit too high, and I set my desired caloric intake (called Energy in the application) per day to meet what I need. Most endurance athletes find that this number needs to be 3,200+ per day to simply maintain, and higher if you are building. Fortunately the software is customizable to allow these sort of changes to customize it for you. Another thing I have found necessary is drinking protein shakes. This is for a combination of reasons including rebuilding muscles after breaking them down on long runs, allowing muscles to build more strength and endurance, and also to help me keep my weight up a little easier. Over the past year I have tried many different types and brands of protein drinks on the market. I found there were many good ones, however I have the added requirements of low cholesterol. I inherited high cholesterol from my parents, so even with all of my training and eating correctly I still need to watch my cholesterol levels. Most protein supplements (whey protein) are a little high in cholesterol, so the choices are limited a little. This is also a reason that I wanted something that could be used with water instead of milk. The reason I lean toward whey protein is because it is simply much better for recovery and building muscles. Soy protein is good, but since it has a fast absorption rate and is used very fast by the body it is much better to be used during workouts. However, it simply does not compare to whey for the recovery and building I needed. I tried the GNC and Isopure protein because they used protein isolate, which is a more pure form of protein, and were also low in cholesterol. However, I found I really had to fight to keep weight on because the calories and carbs were very low, and added vitamin supplements caused me to burn more. Not to mention the fact these two supplements were VERY EXPENSIVE, and required me to use more of them. So, these two products did not stick around in my cupboard. 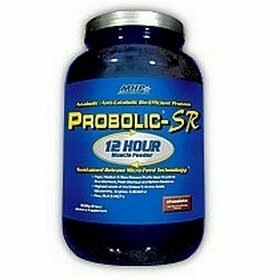 The protein I use regularly and have been happy with is MHP Probolic-SR. I have found that it has a pretty good spectrum of amino acids, has a decent amount of carbs, and is low in cholesterol. An added benefit of this brand is that it is a 12 hour sustained release, which means that it is not immediately available to be processed and thrown out of your body as waste because your body can only absorb so much at one time. While it is not one of the cheaper brands, it is also not expensive and falls somewhere in the middle. Because of the sustained release I find that I do not need to use too much of it, and it does last a decent length of time. 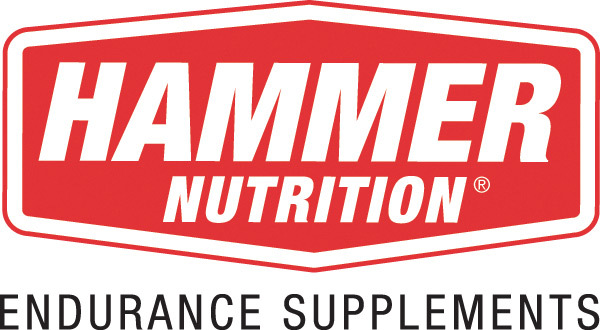 For other sports nutrition I have been using the line of Hammer Nutrition products for gels, sports drink, and nutrition during long runs. Earlier in the year I was using Gatorade and eating Hammer gel during long runs. However, lately I have dropped the Gatorade because it makes me feel very poor from the high levels of sugars and sodium. Instead I have started using Hammer Nutrition HEED sports drink instead, and no longer have the need for gels since HEED contains enough carbs. Plus the carbs are complex carbs so there is no crash like I experienced from other drinks. A couple of weeks ago for the Iron Horse 50 miler I used Hammer Nutrition Perpetuem during the run also, and I loved it. I carried HEED in my CamelBak (70 ounces) and carried a handheld 22 ounce bottle with Perpetuem which I sipped on every once in awhile. (15 ounces of HEED and 5 ounces of Perpetuem per hour) The combination left me feeling surprisingly good the entire event. I hope this information helps some out there. I am not a pro by any means, but hope that some find my experiences prevent them from making some of the same mistakes. Something else that I found very helpful was a free booklet “Endurance Athletes Guide to Success” that Hammer Nutrition makes available as a free download on their site. It was full of knowledge and gave a great deal of insight as long as you don’t mind the occasional product plugs.